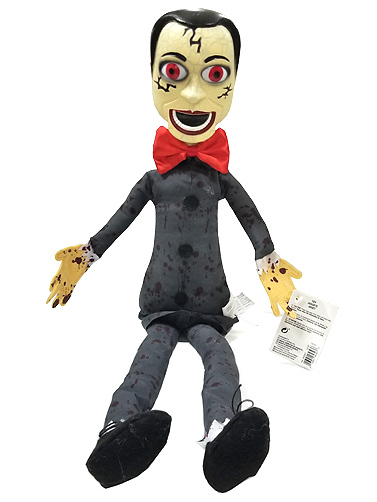 This Ventriloquist Dummy Critter Sitter decoration will make a spooky accent for a shelf or mantle in your Halloween home. Plastic head with cloth body. Features poseable arms and is weighted to sit upright. The long legs are intended to dangle. Ventriloquist Dummy Critter Sitter measures 20"L.